When you wake up in London and yet by 4pm you’re sipping Grande Cuvée at the Krug maison in Reims, you know it’s been a productive Wednesday. 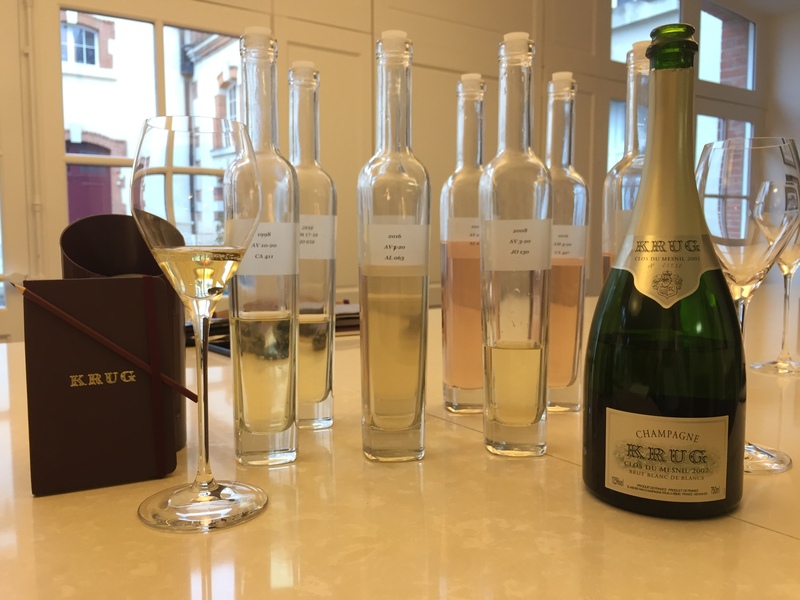 Our visit to Krug earlier this month was the first of many to Grande Marques houses on our Vins Clairs 2016 trip with Essi Avellan MW. It was a rainy afternoon in Reims, but luckily the house had a solution to clear the clouds and brighten the day – a welcome drink of the latest release of Krug Grande Cuvée NV: 163rd Edition. We met with Oliver Krug, current director and sixth generation of the founding family and Eric Lebel, current Chef de Caves now entering his nineteenth year with the luxury house. Olivier’s fame precedes him; quite possibly the busiest man in Champagne and a social media addict, his effortless charm has helped promote the innovation occurring behind Krug’s closed doors for years. If Oliver’s style is sweet like a demi-sec however, then Eric’s we’d classify as brut nature. This isn’t to say he’s unwelcoming – far from it – but their styles couldn’t be more dissimilar, complementing each other in an almost good cop/bad cop-esque relationship. Where Olivier is animated and forthcoming, Eric is a reticent technician, often giving a distant and unassuming vibe, assisted by his active avoidance of the English language. We relaxed in a carefully designed reception room; contemporary-modern and with every placement considered, a perfect interpretation of the Krug image reflected in interior design. After a few moments of polite chatter, Olivier was characteristically drawn into a discussion about how language is used in the industry: a topic that we revisited several times that afternoon. 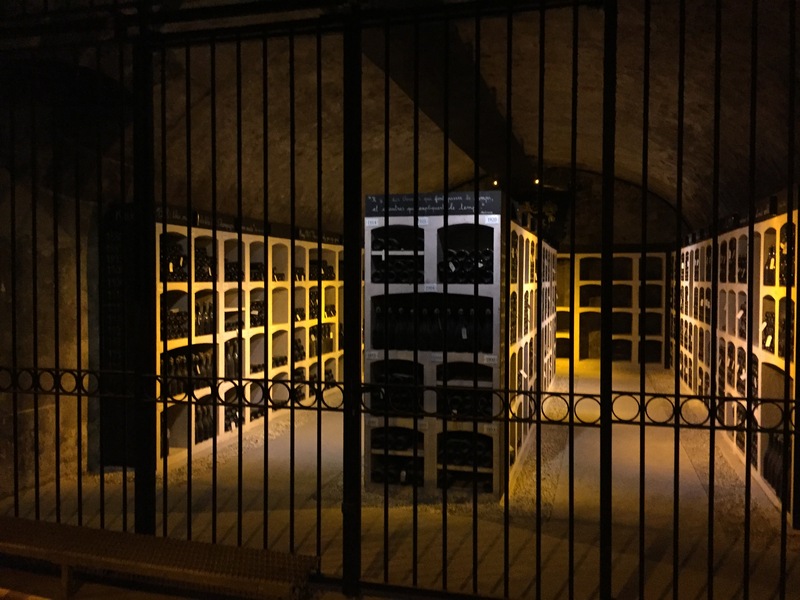 Commenting on what luxury means, Olivier believes many consumers would estimate Krug’s production to be much higher than the reality – which is just under 500,000 bottles a year. 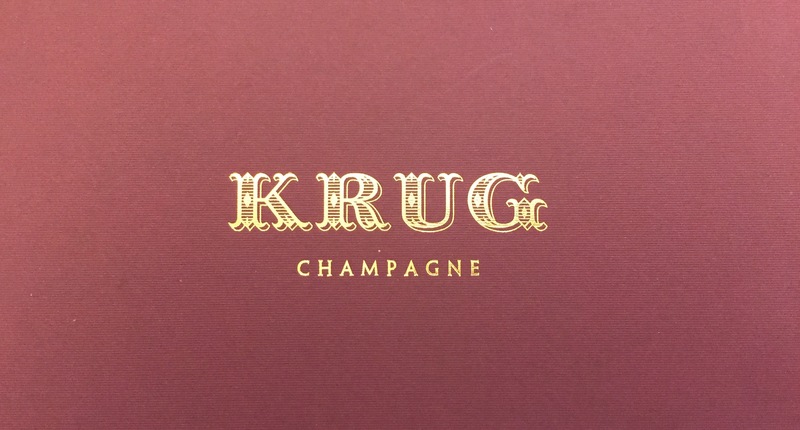 “Krug is not a volume producer as ‘luxury’ is not ‘market share’,” said Olivier. Olivier and Eric (translated through Olivier), then spent the next few minutes sharing with us some of Krug’s revolutionary plans. Sworn to secrecy we unfortunately cannot share them here, but take it from us: the house is busy. Never one to stay static, Krug’s philosophy is that it’s always good to have new innovation in the pipeline. Last year the mission was to abolish the traditional Champagne flute, from which Krug should never be drank (an experience CEO Maggie Henríquez has likened to “listening to opera with earplugs”). The process of creating the perfect vessel to enhance the experience of Grande Cuvée – the Le Joseph glass – took over 18 months. This year’s innovation will see a foray into the world of music and although we can confirm you won’t be seeing Krug earplugs on the market in 2018, that’s all we can say for now. 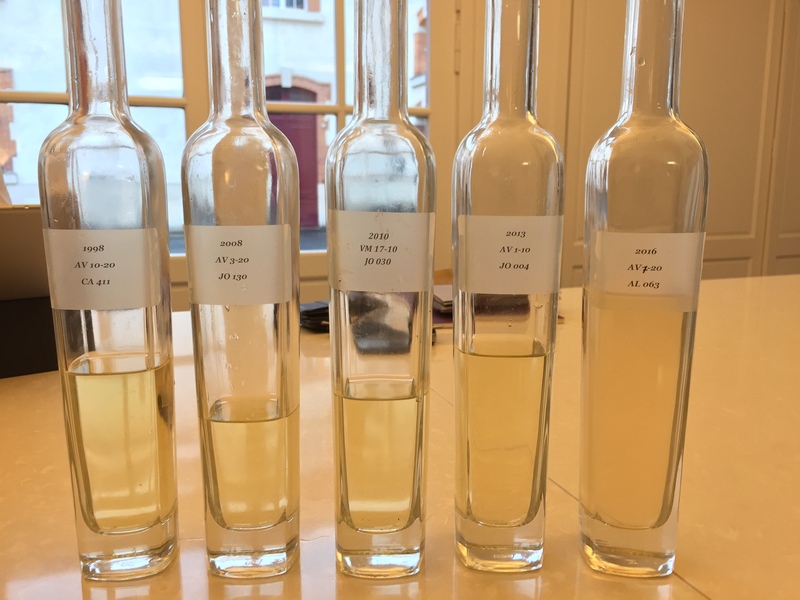 Before tasting the base wines, Eric gave us an overview of the 2016 vintage. Reiterating many of the challenges we’d heard from other winemakers, Eric described the vintage as ‘untypical’. By April, Krug had already lost 15% of their potential crop due to the devastating frost and they lost a further 15% by mid-June due to the heavy rainfall in May and consequent downy mildew that followed. Extreme heat during mid-August – similar to that seen in 1998 – then caused further damage and loss. However, the favourable harvest saved the day for Krug as it did for many others. Ripening was long and slow for the black grapes, but spiked quickly during September for the Chardonnay. 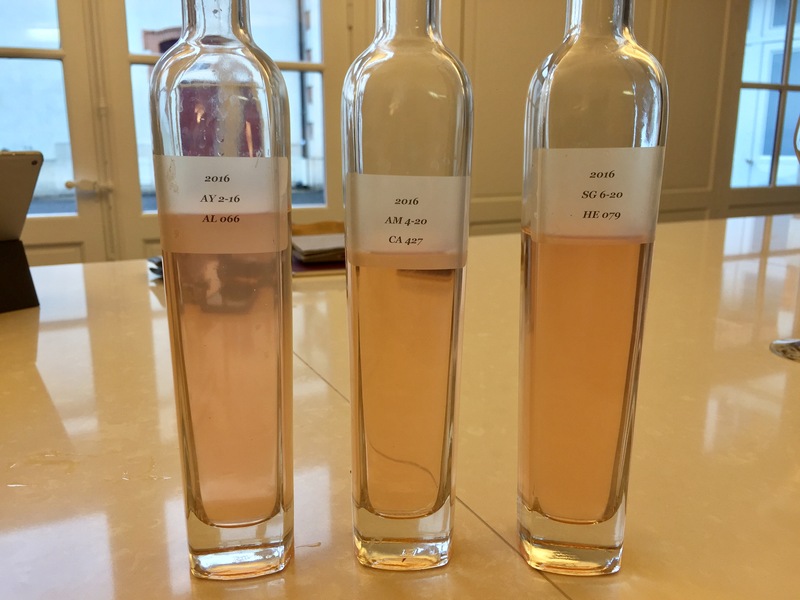 Olivier added that Clos du Mesnil and Ambonnay were picked earlier than usual due to fears over the climate. Overall, it was a year of great difficulty… Eric recalls the 2007 vintage as the last growing season that caused Krug this much stress. For the base wine tasting, we were presented with four 2016 Vins Clairs from each grape variety. We then also tasted four reserve wines, all Chardonnay’s dating from 1998 to 2013. Eric would like from Avize. No malo here, so great fresh acidity and you can see why Chardonnay from Avize makes a great component in a blend; acidity and lush lemon. Krug picked 34 lots of Ambonnay in 2016. Loads of upfront red fruits like strawberry and raspberry and another layer of darker blackberry like fruit, very concentrated fruit with lovely bright acidity. The fruit flavours linger long and have a slightly smoked quality. Lots of cassis and bundles of peach flavours, is that a hint of lychee? This has bundles of fruit, you go back to it and other things spring to mind like ripe pineapple. Complimented by a beautifully spicy edge with hints of cloves. Quite meaty like venison with lots of strawberry notes and then you get the layers building with hints of spice and bundles of acidity – some peach and tropical notes come through on the finish. Big power and weight of fruit. Seems toasty, spicy and rather lush. Apple and ripe pineapple come through and hints of guava, wow, great chardonnay ripeness in such a difficult CH year. Malo encouraged and completed on this one. Amazing fruit, lots of ripe apple and distinct tangerine notes. Incredible power and intensity. So much smokiness. Definite favourite so far. Tight structure, fruit in abundance with tropical hints and loads of fresh acidity giving that 2008 trademark style. A touch smoky and great mouth-feel and packed full of fruit and complexity and length of flavour. Flavours of white peaches and white flowers, really aromatic and going back a few minutes later you get a green pepperiness and a quite a lovely spiciness to the finish. During our base wine tasting, Krug’s dedication for and passion towards the winemaking process was evident. Mid-way through, Eric rushed off to fetch an iPad with which to showcase Krug’s new digital ‘black book’ of assemblage. Having just completed the job of translating the winemaking team’s old tasting notes into digital format, Eric looked like a child at Christmas holding his sacred black book. Winemaking has never been made so technically approachable and Eric was keen to share with us his team’s method of tasting. Meeting at 11am each morning between the harvest and the end of March, the small committee sit and taste 15 samples. Rating each base wine against six criteria – elegance, freshness, complexity, expression, maturity and structure – the history of each individual members tasting note and score is easily trackable in a sophisticated format. Handily, the app tells Eric the average rating for each base wine, showing points lost or gained since the last tasting and allows him to graphically track their development. 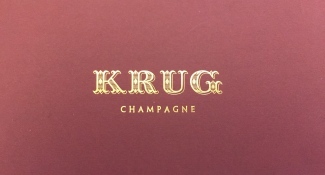 Despite their treasured history, the future of winemaking is here and Krug seem determined to stay ahead of the curve. Commenting on 2016 as a whole, Eric’s view is that it will be a year expressed by great Pinot Noir, particularly from the south of the Montagne de Reims. His gut feeling is that Clos du Mesnil and Clos d’Ambonnay will probably be made, although it is too early to be sure. 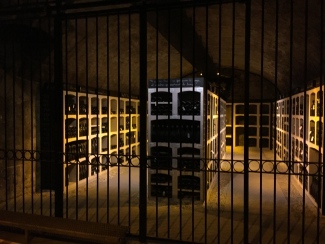 In Krug’s cellars, the old vintage archive! Now…who’s got the key? 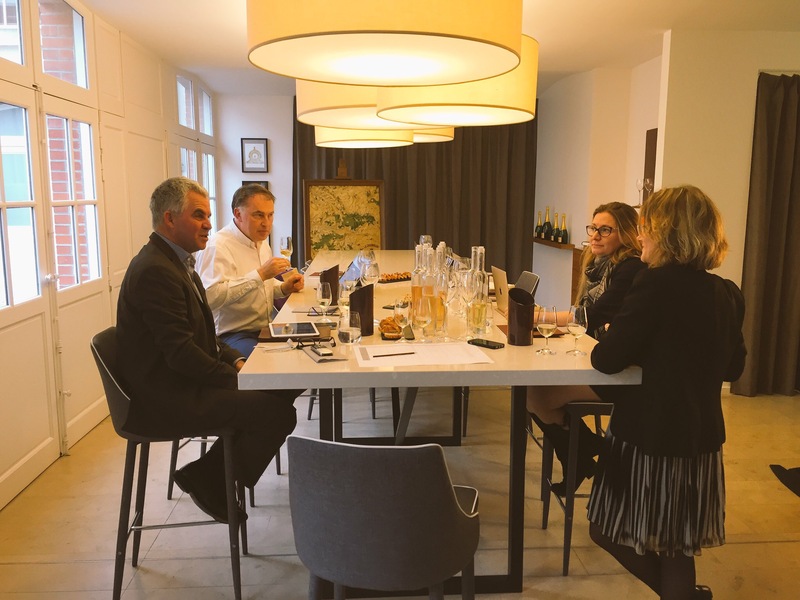 We then revisited the latest Grande Cuvée blend: the 163rd Edition, prompting Oliver into another discussion on Champagne terminology.. In late 2016, Krug announced that Grande Cuvée NV will now be released as an ‘Edition’ (read a detailed description here), highlighting which vintage contributes the base wine. 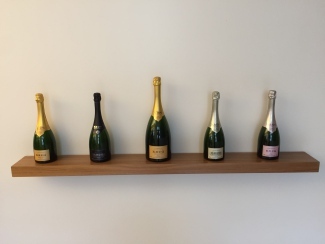 This is a monumental move for Champagne and one we fully support, however it is a concept that Olivier is wary of consumers confusing. After hearing us refer to the Krug Grande Cuvée Edition 163 NV as the ‘2007 Grande Cuvée’, Olivier was quick to correct us. “It’s the 163rd Edition of this blend – not simply the 2007 base,” we were reminded. Semantics you may feel, but this is at the very heart of the Edition movement. 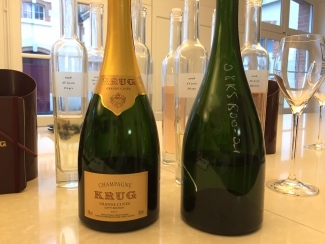 Olivier explained: “Krug Grande Cuvée is a whole new creation every year, it is never just a 2006 or 2007 base.” And he has a point – the 163rd Edition for example contains 183 wines from vintages as old as 1990. With a pool of over 200 reserve wines to choose from for Krug Grande Cuvée, it is consistently so much more than just a non-vintage Champagne and we can see why Krug are making every effort to market it as such. As we tasted the 163rd Edition, Olivier pointed out that “the youngest wine in it is older than most vintages available on the market.” Talking specifics, Eric informed us that it contains 27% reserve wines, attributing this to the more open personality of the 2007 vintage. “The 2007 was quite expressive, it needed less reserve wine to bring out the richness and character,” Eric commented. The bottle we tasted was disgorged in early 2015 and had an abundance of rich fruits complimented by a confident, outgoing structure, beautiful freshness and perfectly balanced acidity. If Grande Cuvée with a ‘2007 base’ (sorry, Olivier) tastes this good, we can only imagine how good the 164th Edition with a ‘2008 base’ will taste. Young at heart and with a smile as wide as the oak barrels that Krug ferment in, Olivier simply cannot contain himself when it comes to surprises. So when he disappeared with that characteristic twinkle in his eye, we knew we were in for a treat. That said, I doubt any of us would have been as sanguine as to suggest a bottle of Krug Clos du Mesnil 2002 was coming our way. 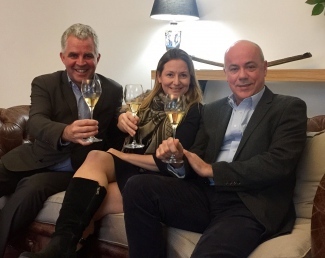 Released just under a year ago, it is rare one gets the chance to taste a Champagne as prestige as Clos du Mesnil; especially with the men who created it. The 2002 vintage needs no introduction, but this expression is in a league of its own. Astounding powerful, its like a fruit salad bowl with hints of vanilla. Elegant and stunning all at once, it has a beautifully rich mouth-feel that lingers on and on. Great acidity and years of potential. Rich, elegant, precise and pure, this is just wow. 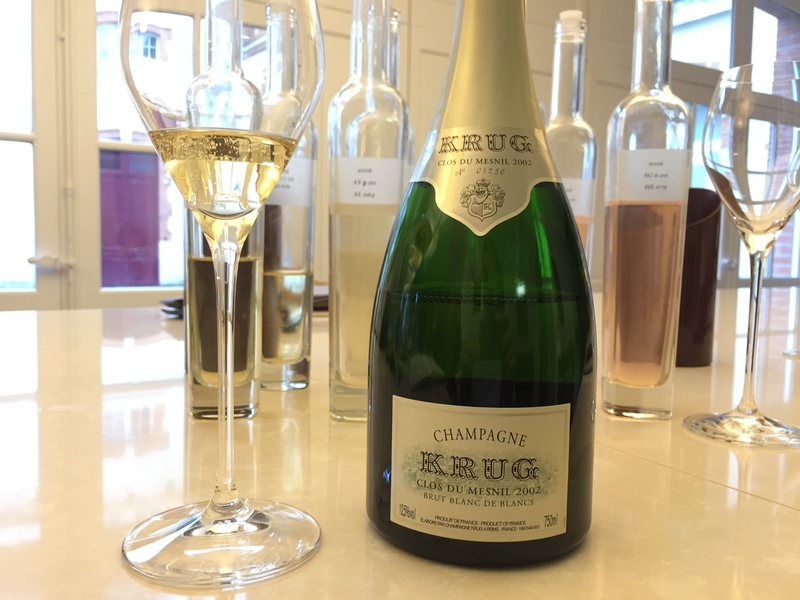 Krug Clos de Mesnil 2002: c’est incroyable! As Clos du Mesnil 2002 is almost impossible to better, we realised our tasting was drawing to a close. Knowing that Olivier has a philosophy of: “The more information you give, the less questions people ask,” we took one last opportunity to ask what the future has in store for Krug lovers. Interestingly, Olivier revealed that the house has been working closely with Oxford professor Dr. Charles Spence, a neurologist who has proven that music can influence how people taste. The creative Krug smartphone app already offers audio accompaniments for your favourite cuvées, but this latest research takes the idea considerably further – Olivier even claimed to have witnessed tears from consumers so overwhelmed by the experience of tasting Krug whilst listening to a carefully paired symphony. Ambitious it may be, but there’s no denying it’s Krug all over.